The day four commercial airliners crash simultaneously at different points around the globe killing almost all passengers and crew becomes known as Black Thursday. 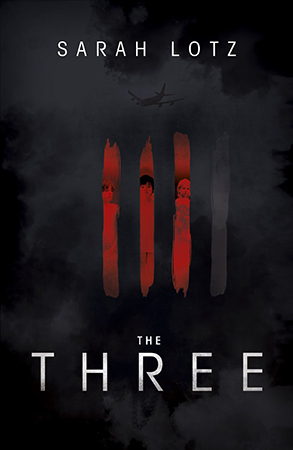 One passenger survives long enough to leave a voice message before dying and the only other survivors are children – one from each of three of the planes – who emerge unscathed into a storm of media attention. How did they survive? Did another child survive the fourth crash? Are the multiple disasters the work of aliens, a harbinger of the apocalypse or just pure coincidence? 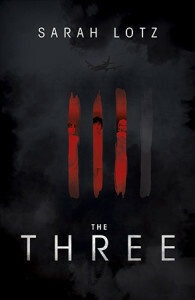 The bulk of The Three consists of a book within a book, Black Thursday: From Crash to Conspiracy by fictional journalist Elspeth Martins; a format allows the story to be told from a multitude of perspectives. Elspeth interviews those involved – from the relatives of crash survivors who end up caring for the children through to those involved on the fringes of the religious conspiracies that spring up in the wake of the catastrophe – and sources email and chat room transcripts as well as material from websites, radio and television. Despite the disparate voices telling the tale – some of whom the reader may suspect to be unreliable narrators – the coherence of the resulting account is far greater than it would be had more traditional storytelling techniques been used and the overall picture that emerges is rich and believable. The material is arranged in such a way as to make the story addictive and compelling, drawing the reader ever onwards in a bid to find out whether the true secret behind the survival The Three will ever be uncovered. 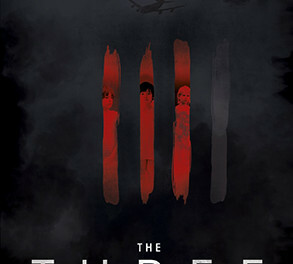 Aside from the gripping nature of the narrative, The Three is also a commentary on the state of human society, illustrating with frightening accuracy how those in power – or those who wish to gain power – will seize upon anything and twist it to their own ends in order to get what they want. Despite the fact that they’re claiming that the end is nigh and the Rapture imminent, the American religious fundamentalists in the book have links to those with political ambition and the suspicion is that had the crashes not occurred they’d have found another excuse. One of the cleverest things about the novel is the way that most of the time by presenting Elspeth’s documentary findings “as is”, the author leaves it to the reader to work out what’s going on and draw their own conclusions. What shines through as a result of this is a portrait of contemporary human society as flawed and doomed. The parallels between events in the novel and in the real world are at times frightening and the warning about how quickly things can go bad is a lesson we all need to learn and watch out for. A spellbinding and exceptional thriller, the echoes of which will resonate in the mind long after the shocking conclusion.